Well, the MassivelyOP ARK: Survival Evolved server is still a thing. It’s been running for just over 10 days now, and it’s been publicly available for a week. Peak concurrency thus far has been 23 players, and the server is being upgraded from 30 slots to 50 in order to provide more of a cushion. 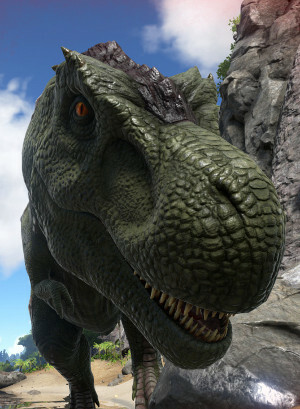 Earlier this week the server was restarted as a PvE-only shard, which means that players may no longer attack one another, nor can they steal each other’s dinosaurs or stored items. All is not lost if you’re a fan of PvP, though, because Studio Wildcard will be implementing a flagging system in an upcoming patch. 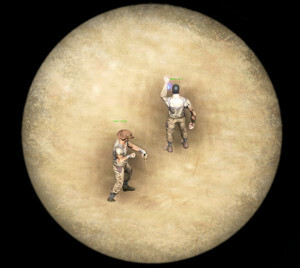 This will enable interested players to engage in tribe-vs.-tribe conflicts, small group skirmishes, solo duels, base raids, and the like, while preventing the sort of random griefer asshattery that gives survival games and PvP in general a bad rap. Restarting as a PvE shard also cost some players their homes, as the developers have apparently disabled building around caves, unbeknownst to yours truly and the rest of the MOP shard early adopters who built a trailer park around that south beach cave entrance. If you lost your house or significant amounts of collected resources, contact me in-game and I will spawn the resources necessary to get you back on your feet. Please be aware that it takes a little while and several people were affected, so it may be a couple of days before our schedules align and we’re able to get you sorted. Also please inventory your losses and have ready a list of exactly what you lost (ideally in large component denominations — i.e., 15 wood foundations or 10 stone walls instead of 769 pieces of wood or 1283 stones). Finally, please be honest about what you lost! Additional MOP server changes this week include the disabling of character and item downloads (because whoops, I meant to do that last week! ), and a tweak to ARK’s built-in voice chat that restricts it to proximity instead of global. For what it’s worth, the download restriction exists to prevent players from importing high-level characters from other servers and effectively bypassing the leveling process. It’s worth noting that all of these changes are easily changed back. Given that we’re still very early in the server’s lifespan, I’m just playing around with stuff to see both what it does and what people think of it, so don’t go away mad if something you preferred looks a little different. As we move forward and I see your comments both here and in the game, we can adjust various parameters via community polling. In terms of future gameplay tweaks, the only one I’m currently considering is another change to the server’s day/night settings. In my opinion, the days were too short, and it’s possible to lengthen them without changing the nights, which I’ve done in what I hope is a subtle fashion. The nights can be changed as well, but I opted to leave them alone for the time being. The simulation fan in me kinda wants to make a realistic 24-hour cycle, but I suspect that would prove unpopular to those of you who have limited playtime. What say you, MOP readers? In terms of extra-game plans, I have requested an ARK forum here on MassivelyOP.com from the powers-that-be. Currently, there is no time-table for its deployment other than “soon(tm)!” In the meantime, you can continue leaving comments on ARK articles, make use of the MOP tip line, or post on our new Steam group. This past week saw three major patches and a host of minor ones from Studio Wildcard, which is par for the course. ARK may be in early access, but it’s not an autopilot early access, since the dev team is actively adding features and fixing bugs at a very rapid clip. The 182 patch added more GPU fixes, a full stone structure tier, “major client loading speed improvements” (given air quotes here because it’s still as slow as molasses on my PC), and a raft of bug fixes. Still on the schedule for this week is an emote wheel (yay! ), audio alarm and gas bomb traps, additional server admin options (yay again! ), and more. Earlier this week I got locked out of the server after Steam automatically updated my ARK client to 181, which left me unable to log into the MOP shard since it was still on 180.4. I know at least a couple of you had similar issues judging by the comment thread, and since I’m not around 24/7 to update the server and since Studio Wildcard is pushing out approximately 1,138 patches per day, my recommendation to you is to disable Steam’s auto-updates. That way if it takes me a few hours to catch up to the latest live build, you can still play in the meantime. Apparently disabling Steam auto-updates is no longer a thing, so I’ll just have to patch faster, I guess! But Jef, why didn’t you just apply the patch and restart the server as soon as you saw that 181 was live? Initially I was going to do just that, but then I saw that four people were playing, and since ARK currently lacks the admin tools necessary to send a server message from outside of the game — and because, as I mentioned above, I couldn’t log in to do it manually — I opted not to restart the server immediately and with no warning, which risks both character deaths and potential progress loss for those who were playing. Interestingly, the lockout only seems to happen with major patches. For example, the devs released 182.1 last night, and I didn’t get a chance to upgrade the server before this morning. But even though my Steam client force-updated my local install to 182.1 last night, I was still able to log in to the server all night and this morning even though it was a step behind at 182.0. Anyway, I’ll chalk all of this up to early access and try to stay on top of the major patches. halldorr Sorenthaz Cool, thanks. Just got ARK up and running so once I figure the ins/outs I might as well check out the MOP server. Dyfuryon Vorender Yep, it’s still running guys. Vorender I’m wondering the same thing. Just picked it up, and figured I’d play on this server. Is this server still a thing? I’d like to join you guys. Just bought the game. halldorr Bog standard, as far as I can tell. Are there any modifiers in use on the server? Like speed to XP/tame/etc? Borick Thanks for the tip.